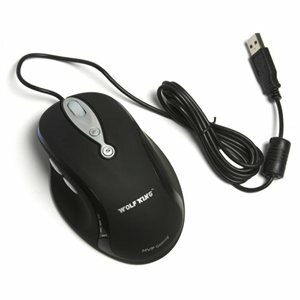 Yet another driver that I've come across that doesn't seem to exist online.. so I hope this helps other MVP mouse owners..
Wolf King has dropped off and looks like they went out of business... which is unfortunate.. I own this mouse and have to say its the best mouse I've come across. It did take some time to adjust to, but it was well worth it. I've been using it for 2 years.. no problems since I plugged it in. I did however thought I lost the driver cd and couldn't find the driver anywhere...until now!!.. Just found my original cd the other day! Instructions: Extract ZIP, Open the contained Driver folder, Run the Setup.exe, Restart computer... Enjoy your fully fuctional mouse! Program those extra buttons!